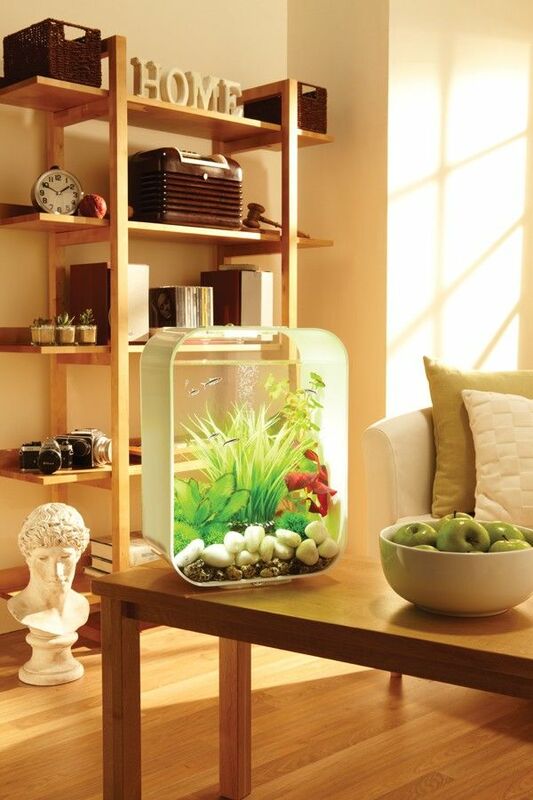 The biOrb LIFE 15 is a perfect aquarium for shrimps and small fish. It is only 4 gallons so its compact size is great for a desk or small space in your home. Like all the biorb tanks, the biOrb LIFE 15 filtration uses ceramic media to provide biological filtration. Excess fish waste is collected and held in a filter cartridge at the bottom of the biOrb. To maintain your biOrb LIFE all you need to do is replace the biorb service kit filter cartridge every four to eight weeks and perform partial water changes. The biOrb LIFE 15 comes with a standard long-life LED light. Available in Black, White, or Clear. If you're looking for a small high performance aquarium, biOrb LIFE 15 is an excellent aquarium.